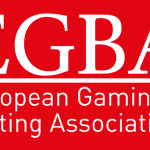 In April 2015, Portugal introduced measures to end the state lottery´s monopoly on online gambling and invited international online operators to apply for licenses. 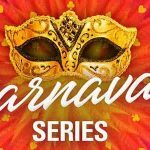 To date the national regulator – the Servico de Regulacao e Inspecao de Jogos (SRIJ) – has only issued two licenses for online casinos and two licenses for online sports betting due to multiple issues with the country´s online poker regulations. In among a number of contentious issues, the Portuguese market will be ring-fenced, international online operators providing a service to Portuguese players will have to be stand-alone entities (no networks allowed), and the tax rate charged on Gross Gaming Revenues will be on a sliding scale up to 30%. Effectively, the only operator who could survive in such an environment would be PokerStars. Rafi Ashkenazi´s announcement came in a Q3 investors call earlier this week. 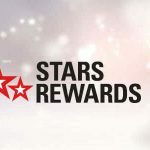 The Amaya CEO said that the company was waiting for final regulatory approval before launching PokerStars in Portugal, and he addressed the issue of operating in another ring-fenced market by suggesting that the closed-border environment would not be in existence for very long. We are going to roll out Portugal … on a closed liquidity basis initially before it will be opened up either to a dot-com liquidity, which we hope … [or] liquidity together with France and Italy, but this will take probably some time. However, Ashkenazi´s optimism about future shared liquidity could be wide of the mark. Although talks have started between European regulators to address the issue of shared liquidity, many of the existing ring-fenced countries have unique and incompatible tax structures. Furthermore, any proposed changes to the existing structures would require domestic and EU approval – a process that could take years. 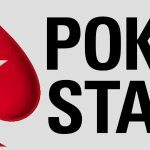 Although the range of poker products that will be offered by PokerStars.pt has not yet been announced, players can expect a very different PokerStars than was in existence two years ago. Portugal´s online poker regulations forbid Spin & Go games, heads-up games, and freeroll tournaments that award cash prizes. The use of poker-tracking software is also prohibited. The high tax rates will mean that cash games will be raked at 6% or 6.5%, tournaments will be raked as high as 20% (as some now are in Spain), and the value of player rewards will decrease dramatically. All cash games will be played 6-Max, Sit & Go games will take ages to fill, and most day-time tournaments will consist of low buy-in qualifiers for later events – many being cancelled due to a lack of interest. Will Players Want to Play at PokerStars.pt? The outcome of the regulatory restrictions will likely be that many players will continue to play at offshore poker sites. It would be naive to believe that players have abstained from playing online poker over the past two years and many players will look at the product that PokerStars can offer, compare it with the sites they are playing at now, and (if they have any sense) stay where they are. This will mean that projections for likely revenues will also be wide of the mark. The Portuguese market has been likened to that of New Jersey because of its similar population size. However, offshore operators do not allow players in New Jersey to play on their sites, whereas they will likely continue to accept Portuguese players. Even if PokerStars is the only international online operator to provide a service in Portugal, it may find its efforts unrewarding – just like players will.